AucklandICT is an industry organisation based in Auckland, New Zealand. Members come from a range of industry sectors that serve requirements both locally and international that are predominately in ICT (Information, Communication and Technology) Each month the organisation meets to listen to a key note speaker, share success updates, networking and more recently have begun to actively utilise social media and online platforms. Within AucklandICT there is the Electronics Interest Group (ETG) AucklandICT that meets once a month over breakfast to discuss projects, topics of interest, training. 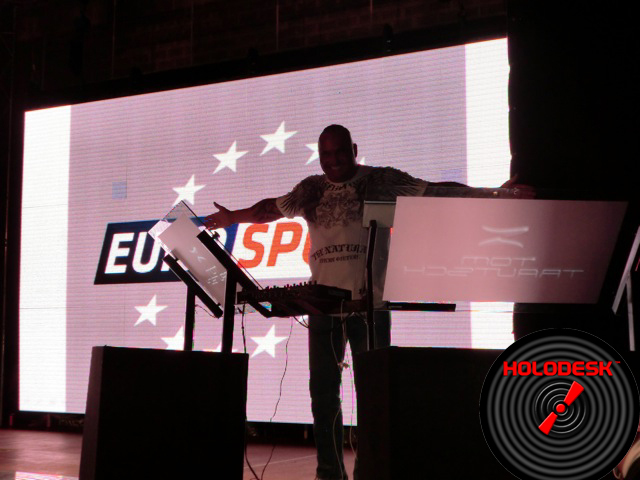 The HoloDesk story started well before it entered the public domain, but when it did it set a new bench mark for international DJ concerts and live performances. The crowd reaction was enthusiastic as Deadmau5 introduced a new way for DJ’s to perform live on the dual imaging touch interactive surface. The following day the viral nature of social media took over as the word spread like wildfire that DJ hardware had taken a major step turning science fiction into commercial reality. For creator, inventor and technologist behind the concept, Kevin Andreassend was convinced that the time was ripe to begin the journey of redefining and introducing large format multi touch in live concerts some years before. First seen in the Tom Cruise Minority film, Kevin and his partners at about the same time were planning on how to develop this type of system to the international market, but first they had to invent the actual touch technology. Skip ahead a few years and in the meantime Apple educated the market on the concept of multi touch in the pocket by way of of the iPhone and more recently iPad. Microsoft stirred the imagination with their 42 inch flat panel solution called The Surface. 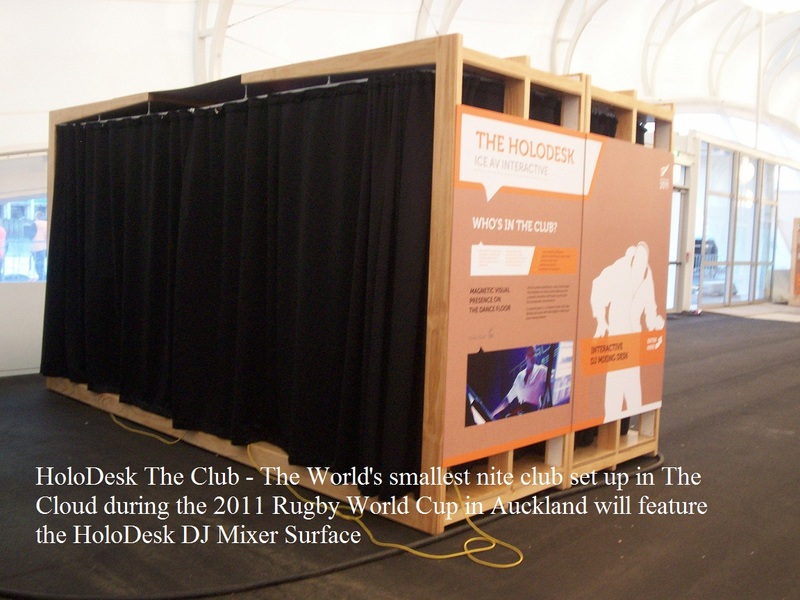 This validated Kevin’s idea but he wanted to go one step further…he wanted to make it huge, so huge that it would take a van to transport an assembled unit, and so was borne the 74″ dia, 1.7m h x 2m wide HoloDesk. Some other crucial parameters was that it had to be dual imaging and no more than 6mm thick and seem like a floating image.